A chronic cough is defined as one that lasts eight weeks or longer. More than simply an annoyance, a lingering cough can disrupt your sleep and affect your work. It may be accompanied by other symptoms such as wheezing, shortness of breath, runny nose, congestion and heartburn. 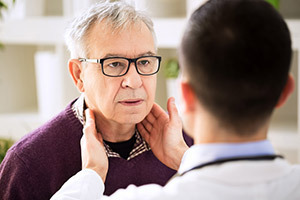 If you have a persistent cough that doesn’t disappear after a reasonable amount of time, make an appointment with your physician for an evaluation.